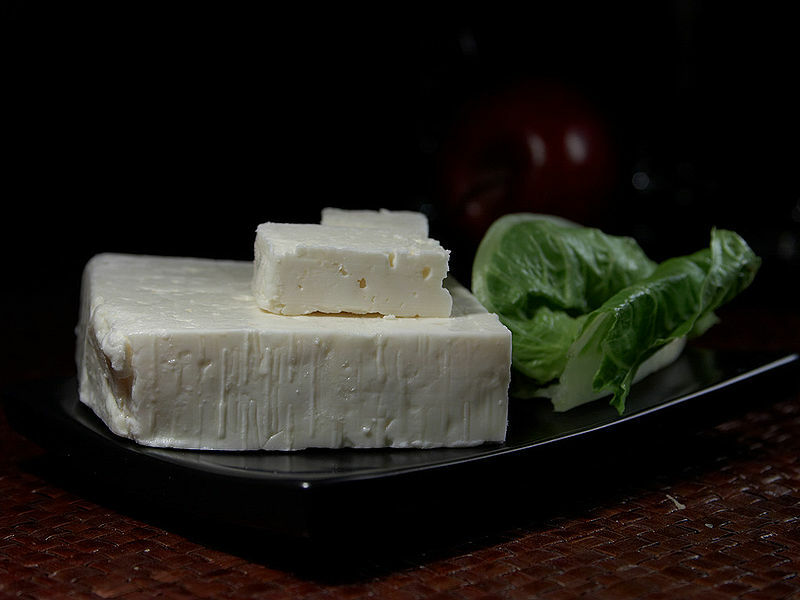 Sirene (Bulgarian: сирене), officially called the "white brine sirene" is a type of brine cheese made in South-Eastern Europe, especially popular in Bulgaria, the Republic of Macedonia and other Balkan countries. It was originally made of goat's milk, but the predominant variation today is made of the cheaper cow's milk, sheep milk or a combination of milks. It is slightly crumbly with a fat content of about 40-45%. It is commonly produced in blocks, and has a slightly grainy texture. It is used as a table cheese, as well as in salads and in baking. One of the traditional dishes using sirene is Shopska salad, made with tomatoes, bell peppers, cucumbers, onions and sirene. Tomatoes with sirene is a traditional light salad during the summer. 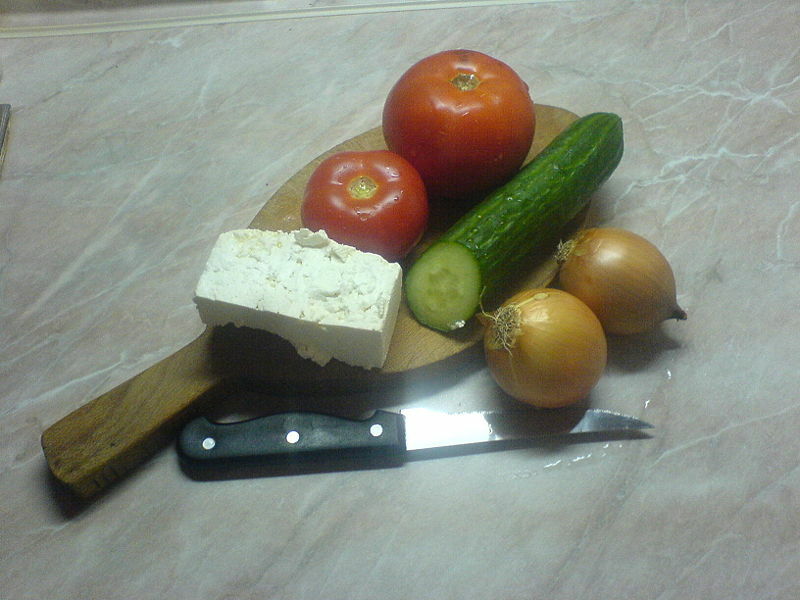 Left: Bulgarian Sirene and products for preparation of Shopska salad. There is also a popular kind of boiled eggs over mashed sirene with a sauce of yogurt, garlic, parsley and walnuts (яйца по панагюрски; eggs a la Panagyurishte).